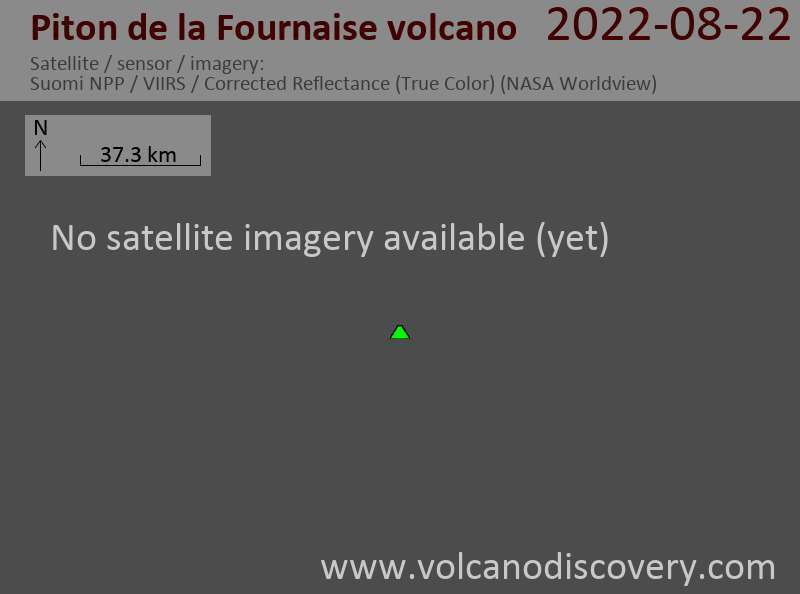 The eruption that started yesterday continues, but only one of several fissures (east of the Rivals crater), that opened last night remains active over a length of 100 m. A small cone has been built at its upper end, approx. 140 m east of Rivals crater. Strombolian activity occurs from this vent, while 3 other vents lower on the fissure continue to produce lava fountains and feed a lava flow that slowly advances towards the Grandes Pentes. 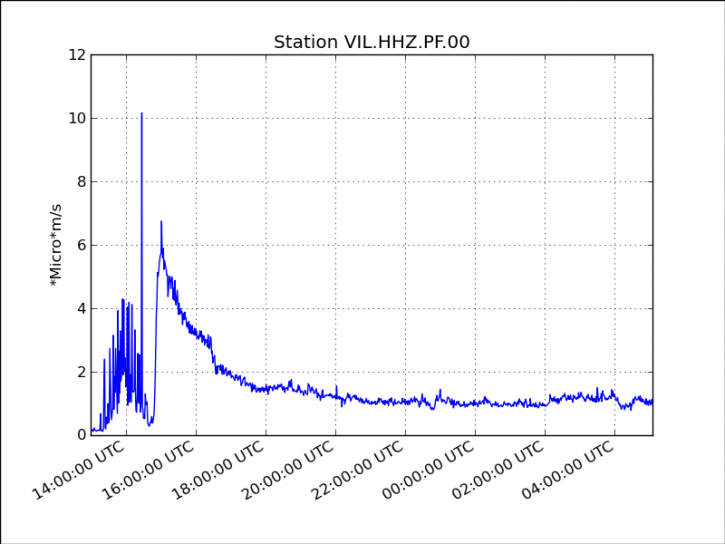 The volcano observatory reports that both tremor and lava effusion rates have been dropping, first rapidly after the first, most intense two hours last night and more slowly since. At 18:50, a long fissure starts to open near Piton Rivals southwest of Dolomieu crater. The fissure gradually opens up sections further upslope, at 18:59 and 20:09 local time. Another fissure opens between 21:15-21:30 in a different area of the Enclos, northwest of Dolomieu under Bory crater. This fissure only emits a small and short-lived lava flow. After 22:00, the initially high tremor & effusion rate (with relatively tall fountains) drops by a factor or 4, and has now stabilized in a slowly decreasing trend.